Transformational change is still hard, according to a new survey. But a focus on communicating, leading by example, engaging employees, and continuously improving can triple the odds of success. Focus on people, not the project. Transformations are about the people in the organization as much as they’re about the initiatives. So my question for you is: how complicated is this? It sounds obvious and simple and it appears to be quite easy, right? If an organization is going to change something big, communicating it right (to mention one of the basics) seems so important and easy to do. I have failed myself. I was the change management leader of a major transformational project, and despite all the methodology I knew, we failed; I failed. The implementation was just like most other system implementations, where most people are not really prepared, the system presents lots of problems and bugs, it took longer and cost more, and people do not understand why “on Earth” they went through all this headache. Eventually things become better and the benefits to the business show, but the change process was painful and lasted longer than needed. I could not say it was what we promised. Why is it so difficult then to put into practice what we read in the books? I remember reading so many good tips about how to handle a change management process. I was even certified! But I must admit t is frustrating to see that the real world is so different. 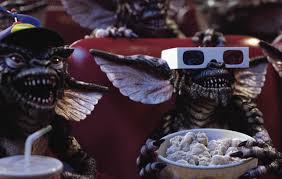 Sheldon (from Big Bang Theory) once said he doesn´t like to watch Gremlins (the film), because the rules are so simple (e.g. do not feed them after midnight) and yet at the end there are lots of Gremlins all over terrifying the village. “How difficult is that?” he says with great frustration. Most people will say it is difficult because we are talking about people. Others will say it is difficult because it requires everyone in the organization to share the same intention. But at the end of the day, we are all these same people, aren´t we? I do not think we have reached the real root causes. All I know is that I don´t know. What about you? What do you think? I will stop here, and leave it as food for thought.